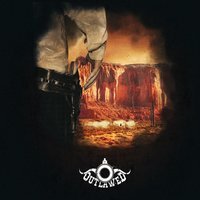 OUTLAWED is a melodic death metal band from Austria and they were formed in 2013, I really like the theme they picked up, the epic spirit of the western thus taking this new genre to a new level. The curtains go up and the show begins quite nicely with a cool and mellow instrumental intro and we were "Born To Wander" just before the storm did get worst with "Stormbound" a nice mix of thrash and death, I mean very interesting music indeed with tones of melodies and cool solos, "The Lacerator" brings more bullets into the air, raspy vocals and quite heavy too, lots of pace variation and the smell of death fills the air. OUTLAWED bring something new to the plate and "Wages Of Gunslinger" shows what these fellas from Austria are all about, very fine music, heavy and catching with the right attitude. "Rotten (Tower Of Thoughts)" delivers more power and aggression, a nice mix with the old and the new Death Metal, at times I can hear a bit of Swedish Death Metal Influences and then we have "Archetype Of War" an even more aggressive approach with grotesque vocals and sharp solos reminding me of the old good days of "Black Force Domain" by KRISIUN. "Aftermath" makes sure all hell breaks loose, OUTLAWED have really delivered the goods with this amazing debut album, as I have said before the arrangements are awesome, lyrics approach very interesting and the theme they have picked is very indulging indeed, production is excellent and artwork very smart as well. I think this is a masterpiece, I am speechless!